Our team has extensive knowledge and experience with recreational trail management in both private landscaping, public parks and wildlands. With our experience as arborists and plant experts, we will preserve the trees and plants within the trail border, while enhancing the visual appeal of the path. 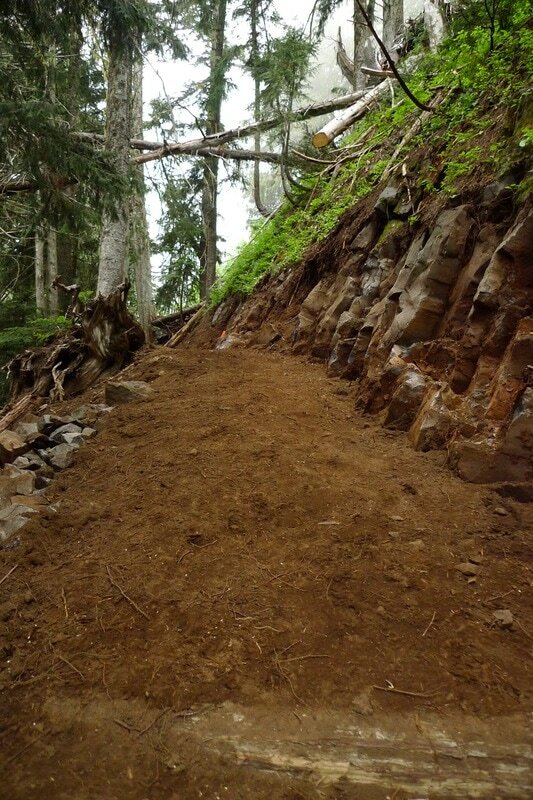 Generally speaking trails can be manufactured from natural soils, wood-chips, or impervious surfaces like brick and asphalt. 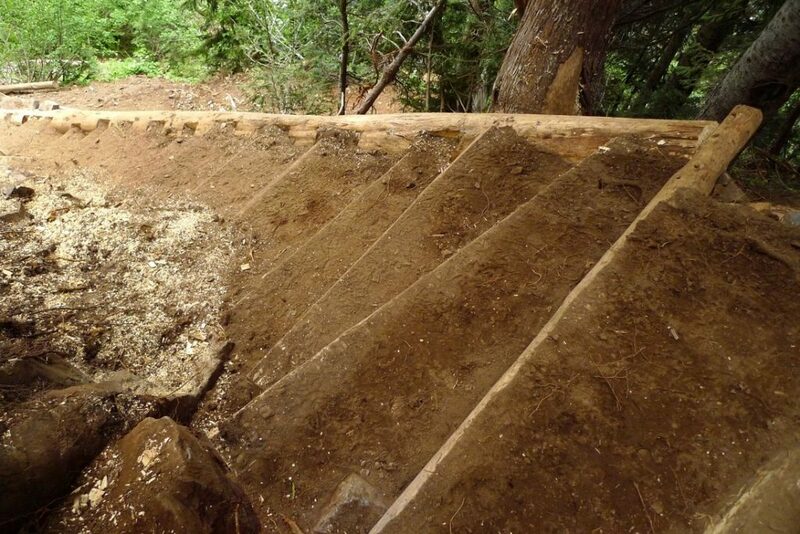 We specialize in natural soil/wood-chip trails, and wooden and rock structures over streams, wetlands, elevated terraces, etc. Trail, pathway and road impact consulting is another service we offer (e.g. How will your design impact your trees and native vegetation? Can an adjustment in the planning stage decrease overall maintenance over-time?). Urban homeowner desiring a neat, tidy woodchip walkway through their yard in Port Angeles. Near-urban homeowner with 8 acres of forested land requested a dog walking and running trail. 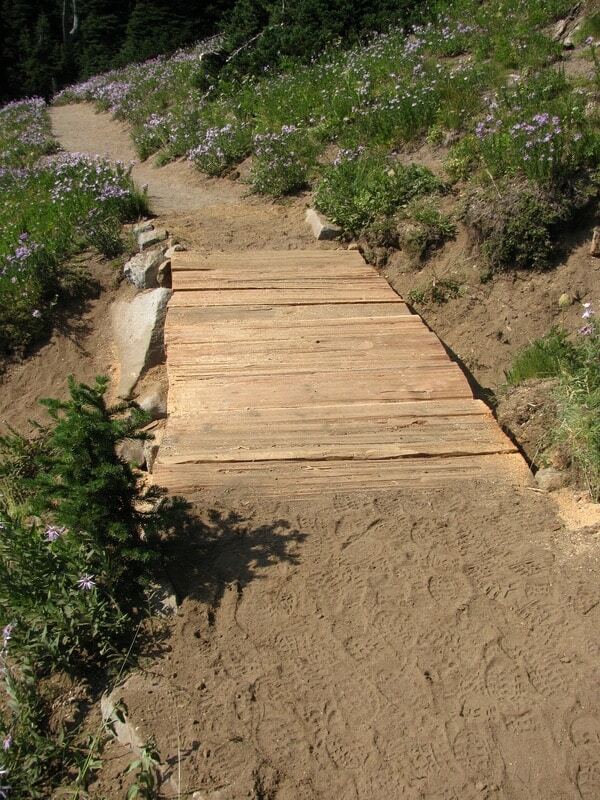 Our client desired a “rustic” or forest service style of trail. 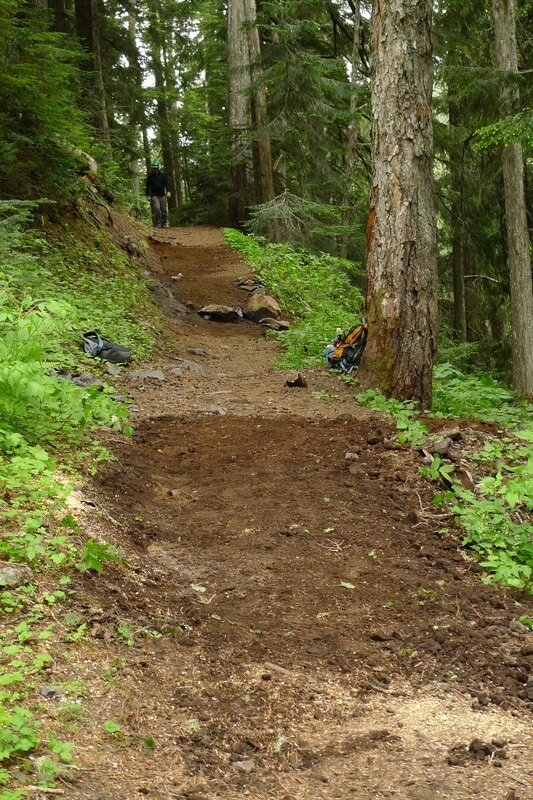 Installation took multiple weeks and in total we built 1.78 miles of trail. This installation is within the city of Olympia. 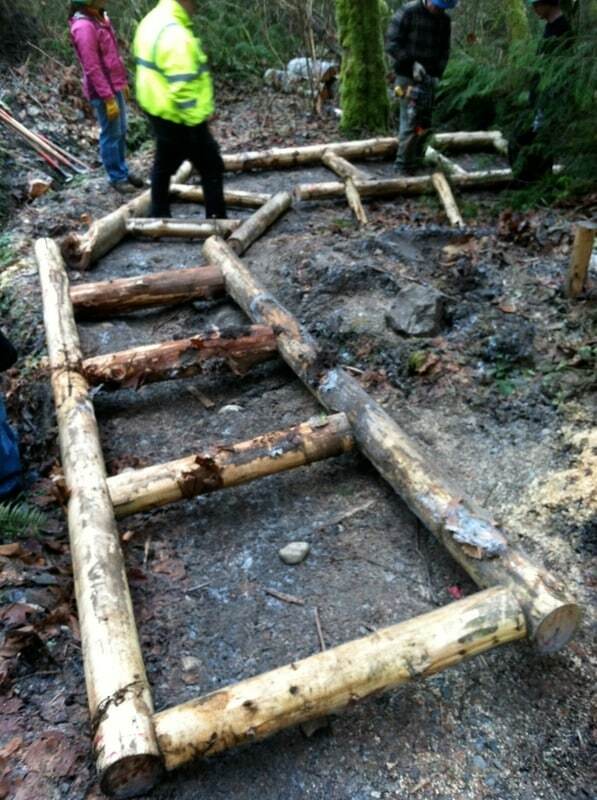 Lake view trail system installation in Mason County. 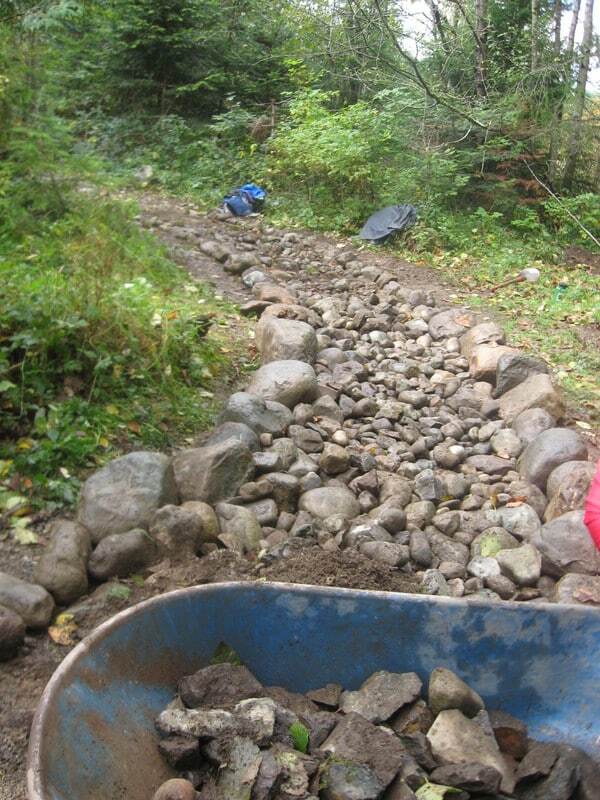 Our client desired a safe, long-term, non-erosion causing trail from their lake front property down to the lake. 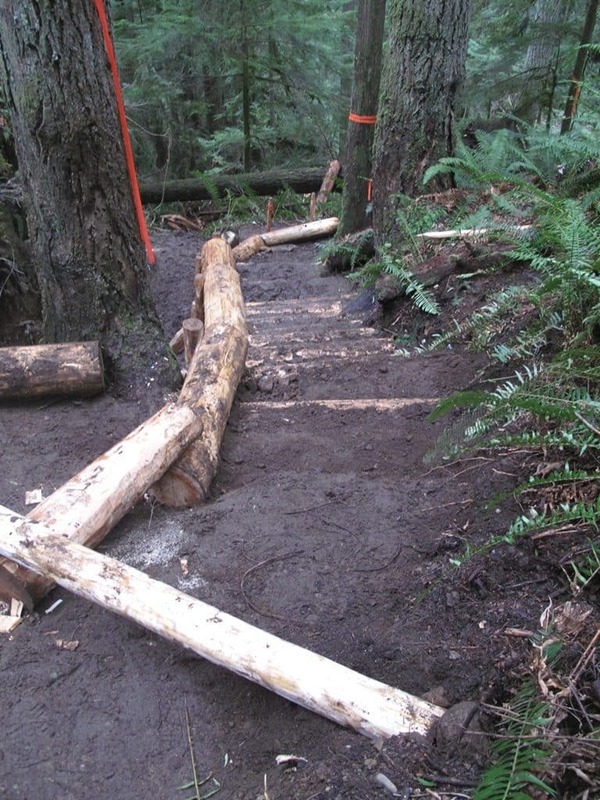 Our team has over 10 years experience in professional trail building with the Forest Service, National Park Service, Washington Trails Association, and the Washington Conservation Corps. We can take the messiest patch of brambles and turn it into your own personal hiking adventure zone!